Like the Atlas large crossover (pictured), the pickup would be built off the VW brand's highly scalable MQB architecture and aimed at rivals such as the Honda Ridgeline. 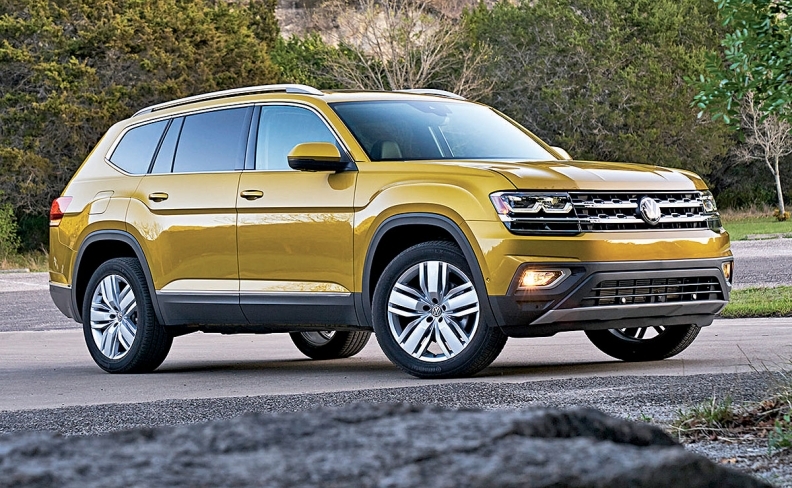 FRANKFURT -- Volkswagen is considering a jump into the midsize pickup segment with a U.S.-made truck that could be built in Tennessee, sources familiar with the matter told Automotive News. The pickup, a derivative of the Atlas large crossover, is expected to be introduced on Wednesday at the New York auto show as a surprise concept alongside a new coupe-styled variant of the Atlas already scheduled for production. A VW spokesman declined to comment on the concept vehicle. Volkswagen brand officials want to strengthen sales in regions such as the U.S. with more product designed for local tastes. It also plans to launch a new compact crossover for the U.S. market in 2020 based not on the sportier T-Roc sold in Europe but on the beefier "Powerful Family SUV" concept shown on Friday in Beijing. U.S. consumers are increasingly shifting to light trucks -- notably crossovers, SUVs and pickups -- prompting automakers to dramatically retool product plans and in some cases, pare unprofitable car models from their lineups. Ford Motor Co. says an expanded light-truck lineup will account for 86 percent of its U.S. sales volume by 2020, up sharply from about 70 percent today. In the U.S. last year, light trucks accounted for just nearly 23 percent of the VW brand's sales, compared with 64 percent for the overall light-vehicle market, according to the Automotive News Data Center. Ending chronic financial losses in the U.S. is a key part of Volkswagen brand CEO Herbert Diess' 2025 plan to turn around a unit struggling with low profitability and still marred by fallout from widespread diesel emissions violations. Last year, the VW brand paid out 13.8 billion euros ($17.05 billion) to settle fines, claims and other costs relating to the emissions scandal. If the pickup concept receives positive reviews during the New York show, it could go into production relatively soon and would be built at VW's Tennessee assembly plant, sources said. No German brand offers a pickup in the U.S. and Mercedes-Benz has decided for now not to sell a production version of the midsize X-Class in the U.S. because of cost and image concerns, among other reasons. "Diess has supported it from a very early phase in the project," one VW official, who declined to be named because the plans are not yet public, said about the planned pickup. 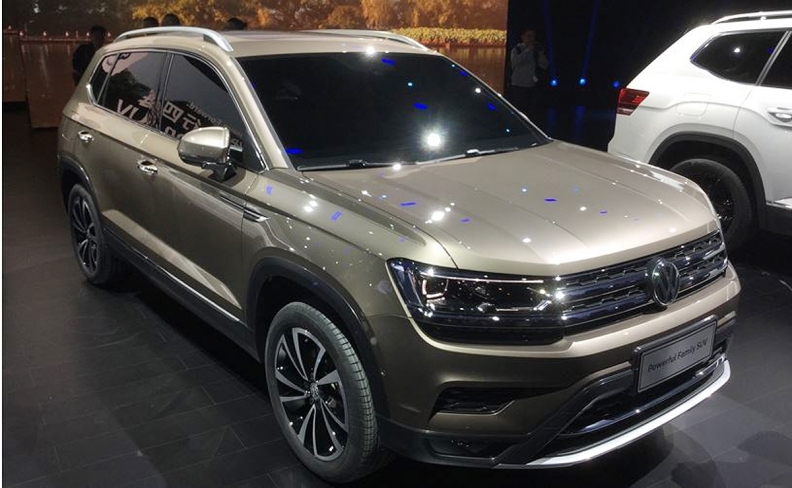 VW also plans to launch a new compact crossover for the U.S. market in 2020 based on the "Powerful Family SUV" concept shown on Friday in Beijing. Like the Atlas, the pickup would be built off the VW brand's highly scalable MQB architecture and aimed at rivals such as the Honda Ridgeline in an increasingly competitive segment. The Ford Ranger, once the top-selling midsize pickup in the U.S. but discontinued in 2011, will return next year. Hyundai is also expected to field a new pickup based on the Santa Cruz concept previewed at the 2015 Detroit auto show. Volkswagen already markets a midsize pickup called the Amarok in other markets outside of the U.S. through its light commercial vehicles subsidiary headquartered in Hanover. However, it is designed and engineered to be a workhorse and is built on a ladder-type frame to carry heavy payloads like the overwhelming majority in the segment. By comparison, the concept to be shown in New York will be based on a unibody platform -- similar to the Ridgeline -- and targeted more at lifestyle-oriented pickup owners who don't need to pile 1,950 pounds or more into the bed of the truck. While the idea of an emotionally styled, "Made in the USA" pickup is attractive for a brand that wants to rehabilitate itself in the eyes of American consumers, there are doubts whether a positive business case can be made for the concept. "I don't think anyone will be able to get the cost calculation right since you need the volumes," said another company source familiar with the project. "The Atlas ... and its coming five-seat derivative can get that since both can be sold in China [as the Teramont], but a pickup like this would likely just be for the U.S. and Canadian market." The 2019 Ridgeline, which starts at $30,965 (including shipping), produced U.S. sales of 34,749 last year. By comparison, the Atlas crossover starts at $31,675 (including shipping). U.S. sales of midsize pickups, dominated by the Toyota Tacoma and Chevrolet Colorado, rose less than 1 percent to 452,335 last year compared to 2016. Deliveries have jumped 20 percent in the first two months of the year. IHS Markit doesn't expect the segment to top 480,000 sales annually through 2025.